The New York State Psychiatric Association, Inc. (NYSPA hereinafter) is the medical specialty organization representing approximately 4,000 psychiatrists practicing in New York State and a division of the American Psychiatric Association. 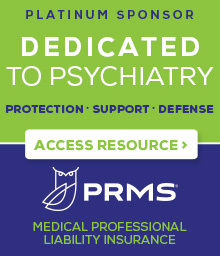 The New York State Psychiatric Association, Inc., the medical specialty organization representing approximately 4,000 psychiatrists practicing in New York State and a division of the American Psychiatric Association, supports the above referenced legislation. To use a sports analogy, the Legislative Session went into overtime as the Legislature and Governor worked to hammer out deals on some outstanding issues, including a package of bills aimed at combating the heroin and opioid epidemic, medical marijuana and teacher evaluations. Legislation related to these three areas required messages of necessity from the Governor to waive the three day aging process that is otherwise required. In the end, the Assembly worked into the wee hours of Friday morning to wrap up its business, while the Senate worked through Friday, adjourning at 9:38 p.m. bringing a close to the 2014 Legislative Session.